Posted on April 18, 2018 | 659 views | Topic : News & Articles, Property News. SP Setia Bhd and SP Setia Foundation chairman Tan Sri Wan Mohd Zahid (4th from left), Star Media Group managing director & CEO Datuk Seri Wong Chun Wai (6th from left), SP Setia Bhd president & CEO Datuk Khor Chap Jen (7th from left), SP Setia Bhd deputy president & COO of Datuk Wong Tuck Wai (8th from left) and Deputy Minister of Education 1, YB Datuk P. Kamalanathan (front row – 4th from left) in a group photo together with #StandTogether celebrity ambassadors and representatives of campaign partners. PETALING JAYA: The #StandTogether bullying prevention campaign by SP Setia Bhd with Star Media Group and various key partners and celebrities was held at Setia City Convention Centre (SCCC) on April 15. The event was graced by Deputy Minister of Education 1 YB Datuk P. Kamalanathan. It recorded an attendance of close to 1000 visitors. the first week of April to be designated as an annual National Kindness Week in schools nationwide every year. The campaign was mobilised by Star’s award-winning R.AGE team. Volunteers to independently organise bullying prevention and projects or activities of kindness in their schools in the first week of April. Ten schools with the best projects were given a chance to present their ideas and stand a chance to win the title of ‘The Kindest School’ at the carnival. SMK Sanzac from Kota Kinabalu, Sabah emerged as the champion of the group. “As a media company, it is our responsibility to speak out and speak up on this issue. We’re very pleased to be working with SP Setia Bhd to tackle the issue of school violence. 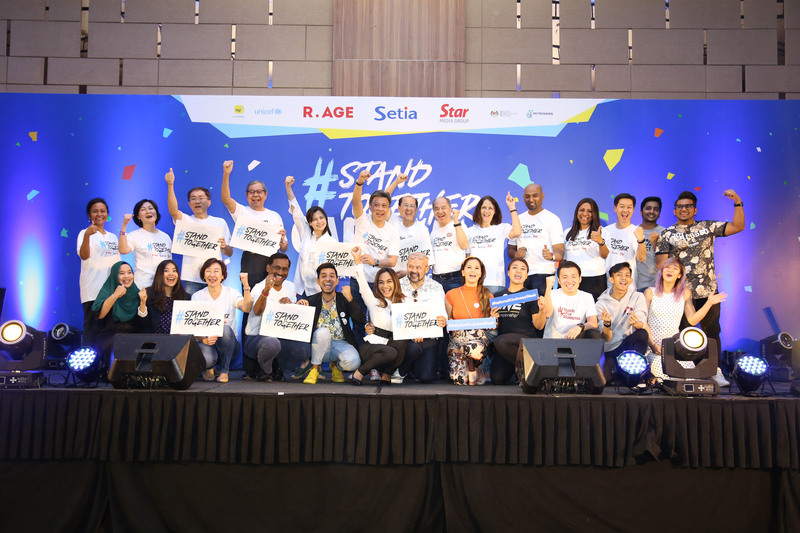 Through this collaboration, we hope that schools will soon be a safe space for all children; our children, and their children,” said Star Media Group group managing director and chief executive officer Datuk Seri Wong Chun Wai.